Need a good project for this one. It might marinate for a while yet. And thank you all for your lovely compliments on Tom’s handiwork. I don’t tell him as often as I should, but I’m damn proud of him. 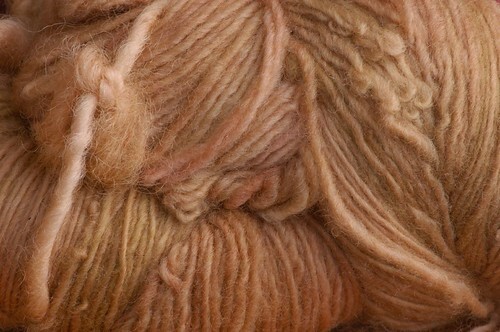 January 18th, 2008 | Tags: Knitting, Yarn Acquisitions, Yarn Pr0n | Category: Misc. 4 comments to Oh, Friday. Right. Mmmm….Applewood. That’s such a gorgeous colorway. It’s about damn time you posted. 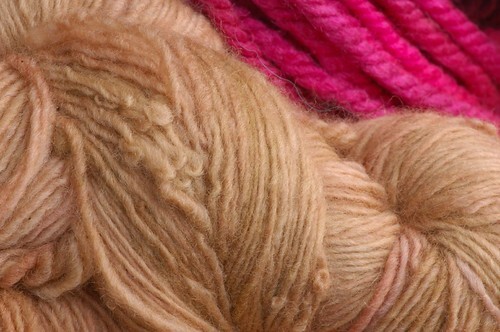 Malabrigo can do no wrong. Such a gorgeous colorway!!! It looks so squishy. 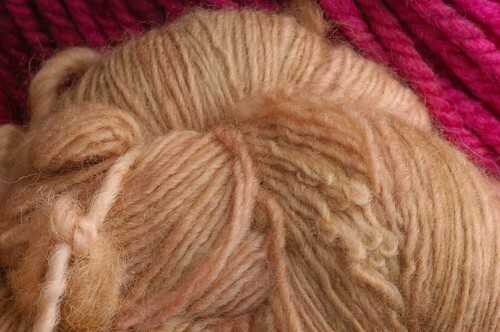 Like toffee spun into a skein. Maybe it tastes as good as it looks, can I take a nibble?